It was quite windy in Brighton today but equally sunny, too. 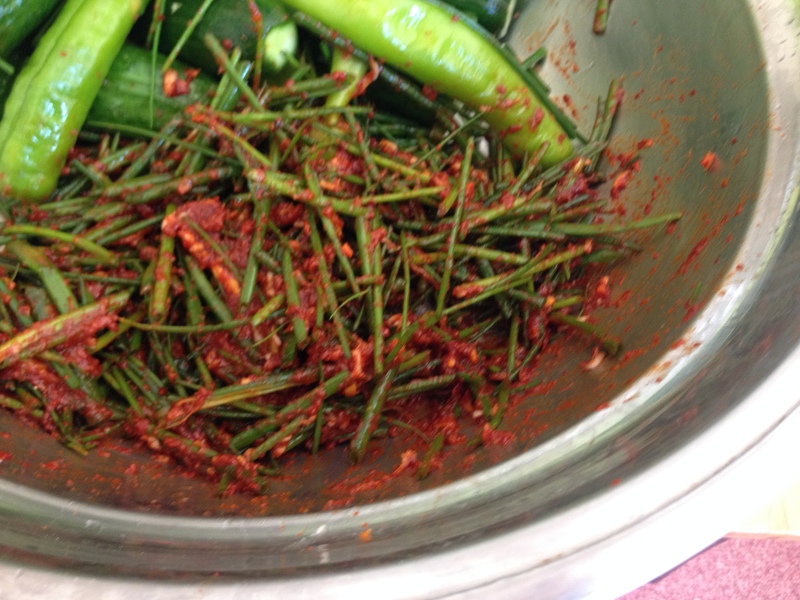 When it is a bit summery, I crab for ‘cucumber kimchi’ called ‘oee saboki’ in Korean which is one of the summer kimchi. 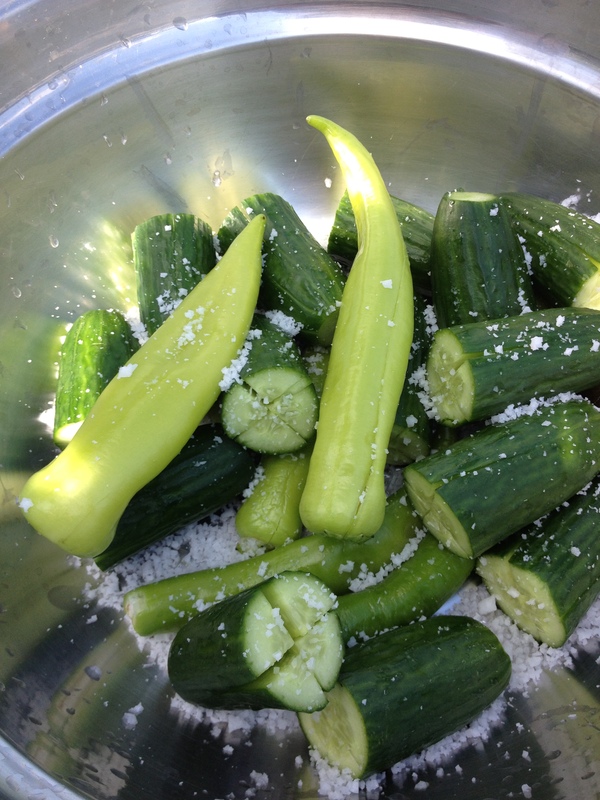 Nowadays you might buy cucumbers any time of a year in a super market but in fact, cucumbers are summer vegetables. Also precisely speaking cucumbers are actually fruit. 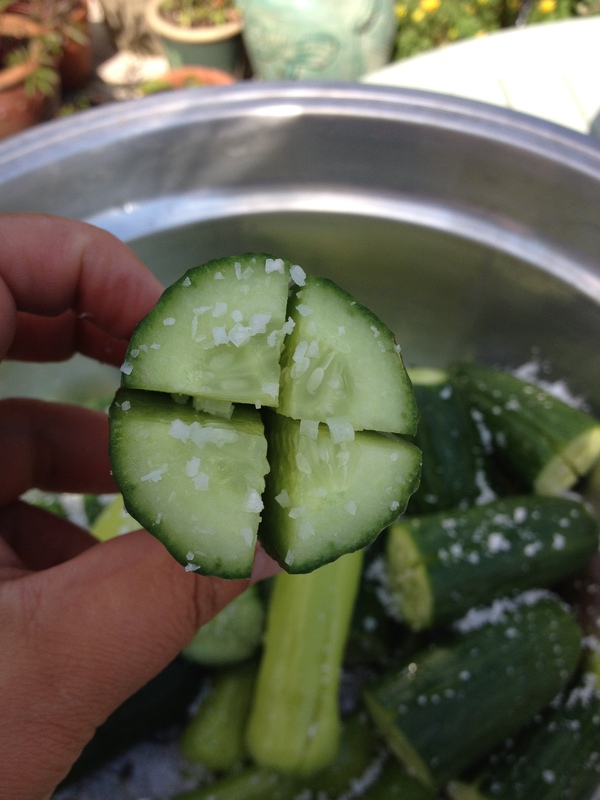 Is a cucumber a fruit or a vegetable? Have a go with fruit or veg quiz! 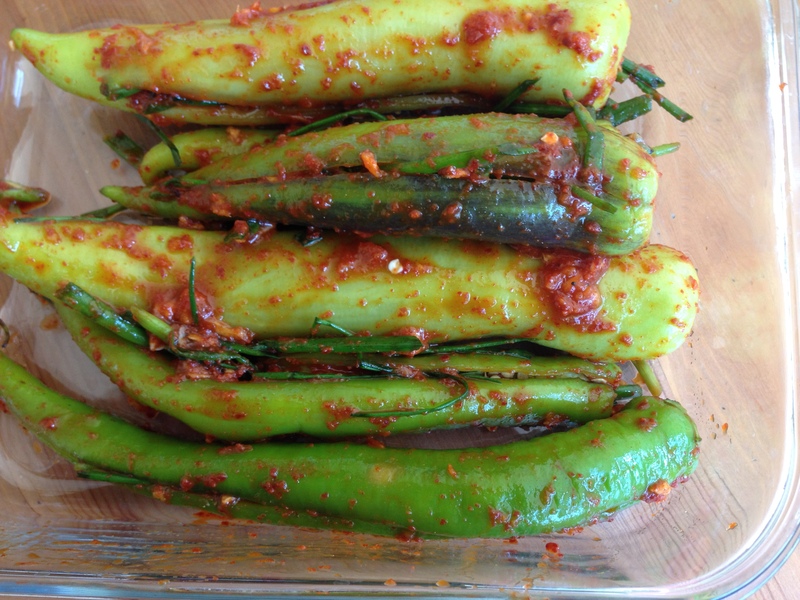 Anyway, come back to today’s topic, CUCUMBER KIMCHI! I was quite lucky to find these nice small cucumbers in a local shop in Brighton. Korean cucumbers are smaller and thinner than ordinary cucumbers you might buy in a super market in England. 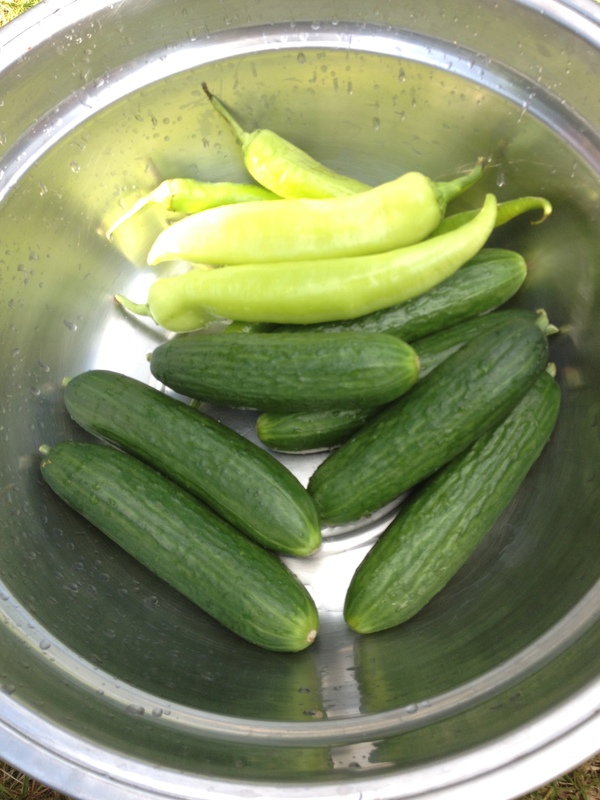 But today’s cucumbers I bought in the local Turkish shop were the right size for making kimchi. 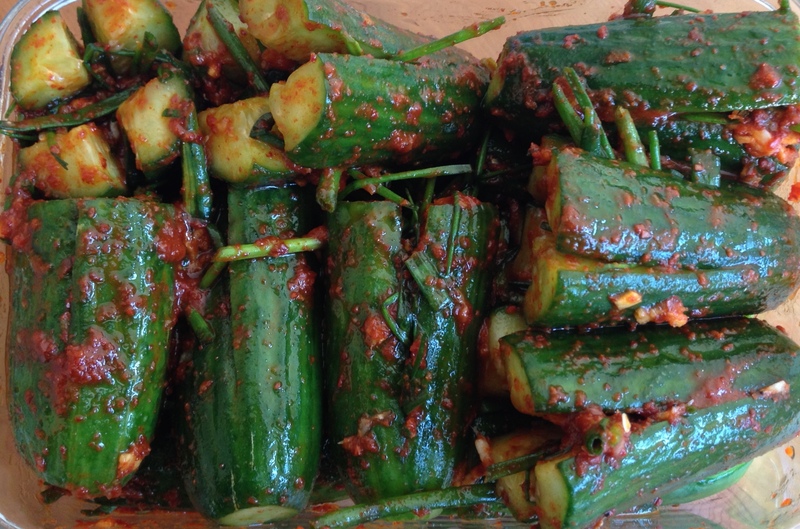 Here we go with juicy, summery cucumber kimchi and in addition, very crunchy chilli kimchi for you.